Traffic Factory Video, Popunder, Banner advertising network details. 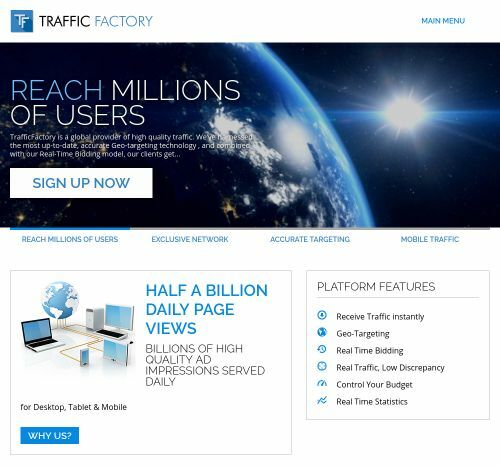 Traffic Factory drives over 6 billion quality impressions every day and represents XVideos.com and Xnxx.com exclusively. Traffic Factory offers 3 outstanding solutions for their campaigns: Banner placements, Popunder placement and Pre-roll placements. Each of them has unique features and exclusive benefits that you should never miss out. Traffic Factory is a self-served network with a full control over to advertisers campaigns. Also, there are great advertising features available such as a self-served spot reservation! You can check Trafficfactory reviews on Affbank and ask Trafficfactory Team any question by using the contacts above! I like TF network, their optimisations, banners options. It works great for my adult campaigns. Also it is always a pleasure to talk with support team. 5 stars!